The Kano State Police Command have arrested two members of a kidnapping syndicate, Samuel Moses a.k.a. 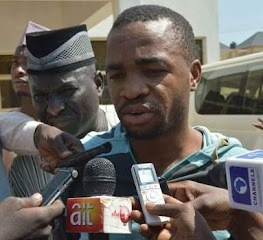 Charmangu and Chidebere Anyawu a.k.a Chijoski for kidnapping a 9-year-old boy for ransom. Moses, an indigene of Benue State, residing at Layin Pampo Brigade Qtrs Kano, criminally conspired with Chidebere Anyawu, an indigene of Imo State, residing at Tudun Wada by Eldorado Cinema, Kano, and deceived his 9-year-old nephew after closing from school, kidnapped him and demanded a ransom of N2 Million from the father. The matter was reported to the Police and the child was rescued without paying any ransom.